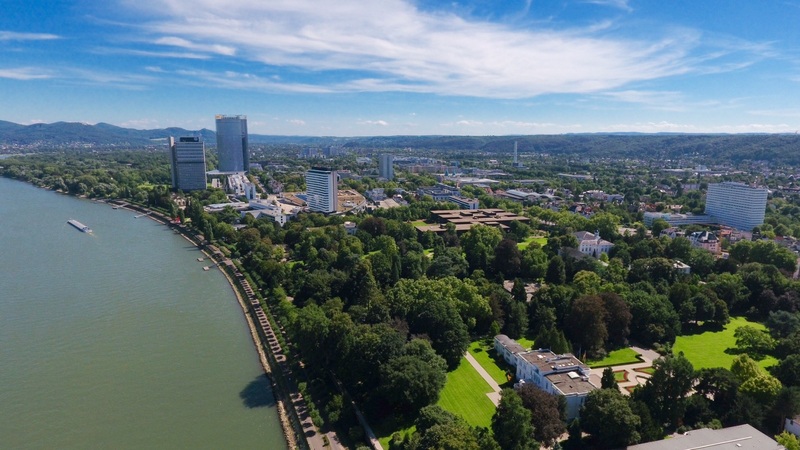 Bonn International Business District, with more than 40 years’ history as the German capital’s governmental district, this area is now a hotspot for office buildings housing global company headquarters, governmental, science, UN and other international organisations. With a total of more than 1,600 acres, the Bonn International Business District is home for 45,000 highly qualified workplaces. The Post-Tower is the new landmark for this area. At a height of 162.5 metres and with 41 storeys, the headquarters of Deutsche Post DHL is the tallest office building in North Rhine-Westphalia. The former parliament building was transformed into a conference facility to host the international conferences organised by the 18 UN organisations located here. All in all, Bonn offers best arguments for highly competitive investments in Germany. Bonner Bogen Located on a sweeping bend of the river Rhine and at the gateway to the romantic Rhine, this area has seen a dramatic transformation. Previously a large cement factory, the Bonner Bogen is now a top location for future-minded IT and service companies. A mixture of preserved facades and the attractive architecture of renowned architect Karl Heinz Schommer have created a new business quarter. The Kameha Grand hotel by architect Schommer and interior designer Marcel Wanders won the Mipim Award in 2010. The last developments to complete this top location are now underway.